Masterpiece. I listen to it for 17 years now and it never gets old. Was surprised to discover the song called "Until Then" is largely based on a sample from a track called "Grasshopper" from the soundtrack of the 1970s TV series called Kung Fu. Good god, this repress sounds amazing. HUGE soundstage and whisper quiet. I'm noticing elements in some songs I've never heard (from CD). Amazing album and a spectacular job Warp! Are all the new represses this great? BoC I'm hoping?!?!? Insanely nice repress. Super quiet. Did some copies come with Broadcast plastic record bags - I just played this and found one? Fantastic album, finally repressed, and it sounds very good! Although I haven't listened to an original first pressing copy of this album for direct comparison, I can say this repress has wonderfully quiet backgrounds and a nice big soundstage...A very refreshing find in a sea of mediocre reissues and represses! Well done Warp Records, now I don't have to spend $100 on an original. Official repress for march 2015! There are elements of pop music I love. There are elements of pop music I despise. 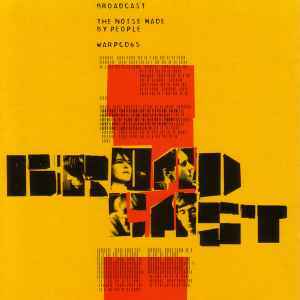 Broadcast take away all the extraneous frivolities of the shite you hear on the radio, mix in thrilling experimental interludes and provide stunning melodies that you can't get out of your brain for days. I don't usually like saying things like 'this is what pop music should sound like' but..... this is what pop music should sound like!